Although Slide Rock State Park is more of a water recreation location, great trout fishing can be experienced upstream of the park within one of Arizona’s most scenic locales. Healthy wild brown and rainbow trout populations are seasonally supplemented with stocked trout by the Arizona Game and Fish Department. 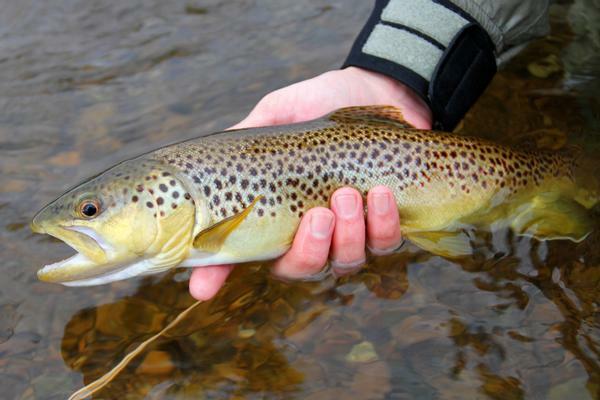 Trophy fish of both trout species are caught in this stretch of Oak Creek with regularity, especially in the more remote sections of the creek north of Slide Rock and south of the West Fork confluence. While fishing is not permitted within the swimming areas of Slide Rock, a short hike upstream will lead anglers into vast pools, undercut banks, and gentle riffles that trout love. Fish in an upstream direction since typical trout behavior dictates that they are looking upstream while they wait for their next meal. 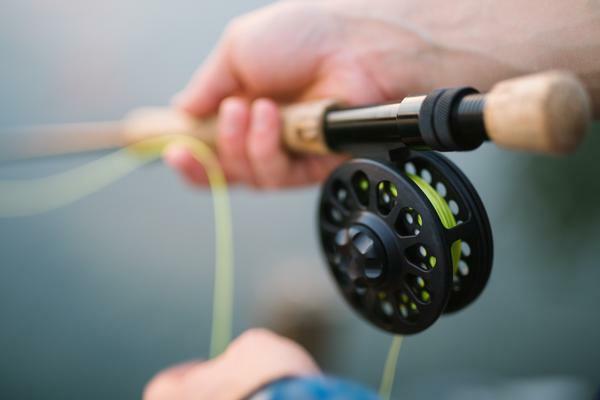 By approaching from downstream, you have the opportunity to approach unnoticed, cast beyond where the trout are hiding, and present your bait or lure in a natural fashion. 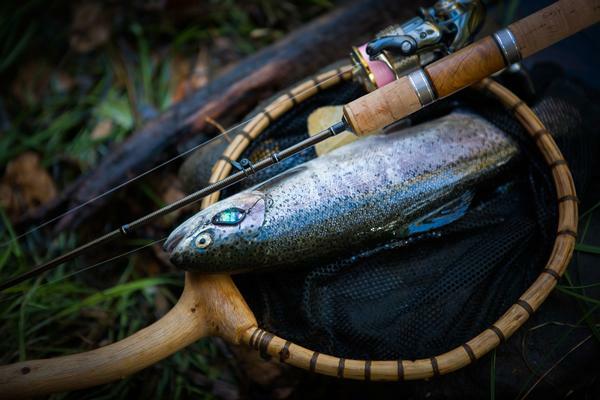 Both brown and rainbow trout can be caught on a variety of flies and lures, although the browns typically are very particular about which bait options they choose to strike. The wild browns in Oak Creek seem particularly fond of a well-placed fly; in fact, most of the larger specimens are reported to have been taken this way. A variety of nymphs and leeches work well here, as do numerous floating flies. Bring a variety and match the insects seen landing on the water. Effectively matching your fly with what the trout are actually feeding on is a great way to increase your likelihood of success! Inline spinners and small, shallow running Rapala type lures are both readily accepted by Oak Creek trout as well. Fish upstream and look for places that trout may be lurking. Rocks, undercut banks, submerged branches, etc. all offer great hiding spots and should not be overlooked. Cast your lure past where you believe a trout to be hiding and match the speed of the current with your retrieve. Many times, a trout just can’t refuse a free meal floating right by its face, and will pounce quickly at the opportunity. Bait fishermen are asked to refrain from using anything that comes in glass packaging. If you do choose to use salmon eggs or other bait typically packaged this way, please transfer the contents into something plastic before your trip. Glass from broken packaging might be swept downstream and cause injury to other park visitors. The most popular bait option in this stretch of oak creek are nightcrawlers, although various dough bait options work well on the stocked trout. 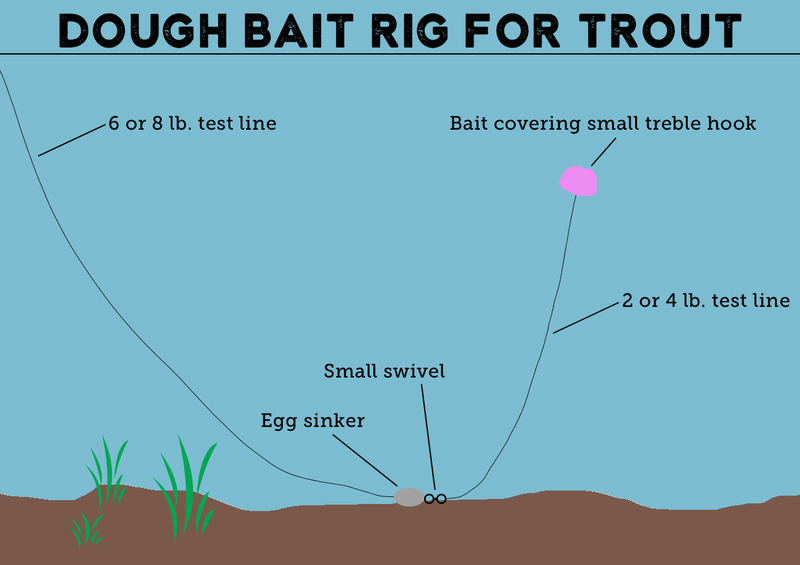 See this link to learn how to properly rig a dough bait for trout. In areas with some current, no additional weight is needed. Simply cast upstream just as in other fishing styles and let your worm bounce back to you. Hopefully, if you’ve casted into a likely trout hidey hole, your bait will not go unnoticed and you will be rewarded with a beautiful Oak Creek trout. We want nothing more than for you and your family to enjoy Slide Rock State Park and the associated areas as much as possible. In order to conserve this valuable area resource, we ask that catch and release is practiced in this section of Oak Creek to allow the trout population an opportunity to become even more robust with time.